The presidents of Democratic Republic of Congo and Rwanda signed a regional pact to eliminate armed rebels in eastern Congo. Uneasy neighbors Congo and Rwanda, which have gone to war with each other in the past, have often swapped accusations about backing rival rebel groups, a charge that both countries deny.The pact foresees the creation of an international military force to take on multiple insurgencies in the eastern Congolese provinces of North and South Kivu. Both the countries lie in the Great Lake Region. The Great Lakes of Africa include some of the largest and most ecologically diverse freshwater systems on the planet. Read more about African Great Lake. United State is facing the most expansive drought in more than a half century. Prices of both corn and soybeans soared to all-time highs due to severe drought. More extreme heat and scant rains were expected in some of the highly fertile areas, suggesting the poorest crop conditions since the historic 1988 drought. A funeral ceremony was held for three of Syrian President Bashar al-Assad's senior security officials who were killed in a bomb attack. The attack on a meeting of Assad's inner circle on Wednesday killed his brother-in-law Assef Shawkat, Defence Minister Daoud Rajha and veteran army general Hassan Turkmani. Meanwhile the U.N. Security Council voted unanimously to extend its monitoring mission in Syria for 30 days, keeping alive a key part of international envoy Kofi Annan's faltering plan to end the 16-month conflict. imbabwe has finished drafting a new constitution that limits the powers of the president while strengthening those of parliament. The draft imposes two five-year terms on the presidency, which currently has no term limit. It also curbs the sweeping powers of the president by requiring lawmakers' approval for the dissolution of parliament, declaration of war and public emergencies. However, the president retains authority over senior appointments. India has, for the first time, become Australia's largest source of permanent migrants. The Australian High Commissioner to India, Mr Peter Varghese, said Indian migrants comprised a total of 29,018 places or 15.7 per cent of the total migration program of 185,000 places under the 2011-12 permanent migration program. India has surpassed China and the United Kingdom as the largest source of permanent migrants with 25,509 and 25,274 places respectively. Spain's financial woes deepened ominously after a heavily indebted region asked Madrid for help and the government predicted more recession next year, prompting investors to dump stocks and government bonds. Investors fear the central government, which is also strapped for cash and faces high borrowing rates on bond markets, could come under increasing financial pressure if the regions need more help. 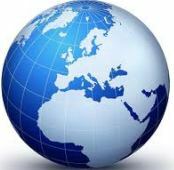 This post contains the world current affairs of July 2012. These are short world current affairs 2012 notes for quick review.